On watching the film at TFF2015, Eric Idle said he found the film “moving, and also sad”, while John described it as “a very good, new documentary” and congratulated the filmmakers. You can watch the trailer here. Remember to keep checking back here for more news on the documentary’s festival tour and wider release. Monty Python: The Meaning Of Live offers far more insight than the usual backstage documentary. The doc uses the troupe’s July 2014 performances at the O2 arena in London – the first time John Cleese, Terry Gilliam, Eric Idle, Terry Jones and Michael Palin have performed on stage together since 1980, and purportedly the last – as a lever into the history, evolution and cultural significance of Monty Python. If you’ve been waiting for a definitive examination of the Python mentality, this is it: directors Roger Graef and James Rogan followed the Pythons (minus the late Graham Chapman, of course) for months before the shows, interviewing them at length. All five surviving members are too old to carry grudges or nurse old wounds, and they dig into their war stories with bracing honesty. It’s wonderful to see Gilliam – who came aboard last, as an interstitial animator – come to understand he’s as essential to the troupe as anyone else, and even more wonderful to see Cleese and Jones interact with real affection after decades of emotional distance. An unrevealing but enjoyable doc for fans. The surviving members of Monty Python reminisce on the eve of their final performance in Monty Python: The Meaning of Live. Directors Roger Graef and James Rogan deliver exactly what one expects in the film — where a global simulcast offered fans the actual live show (the last of ten nights at London's O2 Arena) last year, this one contains just snippets of that event and focuses on everything preceding it. Diehard followers of the troupe will of course want to see it, however little it contributes to the lore; releasing it in theaters, though, would be a stretch. It had been 34 years since the last live Python performance (the Hollywood Bowl show), and a good deal of the behind-the-scenes talk here has to do with how up to it they are, how the reunion will be received, whether they've still got chemistry. But they're happy to find in early read-throughs that, not only does it feel "like no time at all had gone by" (per Michael Palin), but, as John Cleese reports, they were actually making each other laugh. Each surviving Python gets some sit-down interview time, with Terry Gilliam's being the most refreshing. Not only is he totally frank about the financial reasons for the reunion (they needed cash after losing a lawsuit concerning Eric Idle's Spamalot musical), but he winningly recalls being "always in awe of the others" and particularly intimidated by Cleese. Graef and Rogan never show a skit from the final show in its entirety, but we get plenty of glimpses to sate us: The sight of Terry Jones playing through a minor injury; of Cleese amusingly wrecking the parrot sketch; of Palin getting in prim drag to tape a faux-prudish explanation of why certain song-and-dance numbers would not be broadcast live on air. Add Stephen Hawking "singing" a corrected version of "Galaxy Song," and Python fans have reason enough to watch this before their umpteenth revisiting of the original series. So one of the putative reasons for last year’s 10-show farewell performance of the Monty Python troupe remains unresolved. As does the question of whether John Cleese’s various alimony debts have been addressed. Terry J’s protest brings a laugh from Holly Gilliam, the daughter of Terry Gilliam (“Terry G” in Python parlance) and the co-producer of The Meaning of Live, the remarkably intimate backstage chronicle of the event, the finale of which was beamed live to movie theatres around the world. The doc made its Canadian debut at Toronto’s Hot Docs festival this week, and continues to screen there. And we got to interview some “knights of the round table,” as it were, from the film – Jones, Gilliam, and directors Roger Graef and James Rogan. All the other three pointed to Gilliam the younger as the person without whom the event probably wouldn’t have happened (an unofficial Python, though she was a baby when The Meaning of Life was filmed). She began filming the behind-the-scenes footage from the first script meeting called by Eric Idle in November, 2013. And she smoothed the feathers of reluctant Pythons, including her father, who – in our interview last year – insisted he was the one who dragged his heels the most. “Or says he did,” she says. “Did,” Jones says, amiably and correctly. There was one other financial concern that was addressed by the O2 shows. A longstanding lawsuit over the use of material from Monty Python and the Holy Grail in the musical Spamalot was finally paid off in full. 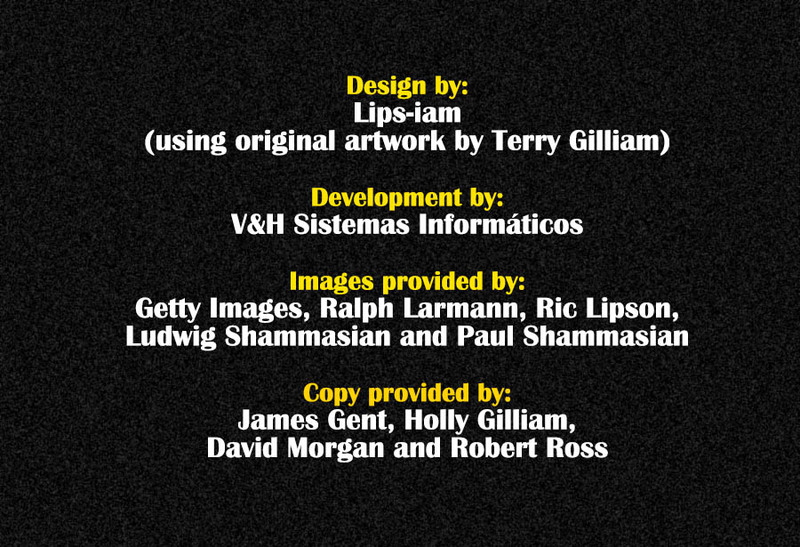 So a project that really was about paying off debt, became something for the ages, with a worldwide audience, and hilarious video participation from the likes of The Rolling Stones and Stephen Hawking (who even ad-libs a line). Hawking’s spot-on robot-voiced rendition of The Galaxy Song has become a viral hit from the doc, released on vinyl on Record Store day, and currently available for download on iTunes. You also get a look at the chemistry between various Pythons, including a problematic one between Jones and Cleese, which apparently goes back a long way. Jones, who has developed memory problems, made extensive use of autocue and cue cards during the shows. Cleese grabbed the cards from him in the last show and started reading them out loud himself. Like most spontaneous live occurrences, it brought down the house. It is a safe bet, all agree, that we are unlikely to ever see another Monty Python reunion like this (though they all get together every three months to meet about Python business and financial affairs). Jones, Terry G and Michael Palin also socialize, living in close proximity in North London. In the meantime, the TV series and films continue to have a life of their own. Crave TV in Canada has made the entire series of Monty Python’s Flying Circus available on its service. And for that, you have Jones to thank. In late ’73, he once told me, he smuggled tapes of the show out of the BBC that were due to be erased (the blanks tapes being presumed as more valuable than the content). Jones also made a valuable contribution to The Meaning of Live in the form of early Python live footage, “home movies” he shot while the troupe was traveling across Canada (in one scene Toronto is passed off as Vancouver, which Gilliam admits was “a bit of fudging”). 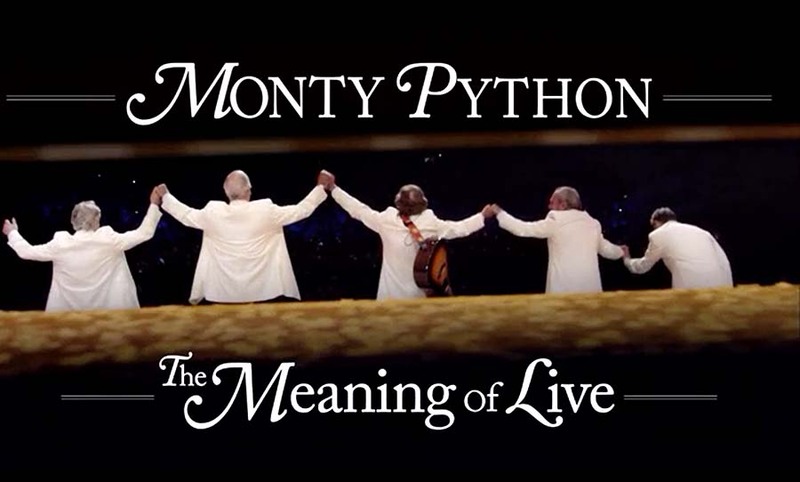 Monty Python: The Meaning of Live, directed by Roger Graef and James Rogan, is a chronicle of an event many people believed would never happen: a Monty Python reunion. And yet Jones reconvened with fellow Pythons John Cleese, Eric Idle, Michael Palin, Terry Gilliam and even the ghost of the late Graham Chapman for 10 shows at London’s O2 Arena last summer. They candidly admit on camera that money was a huge factor for the change of heart: there was a million-pound legal bill to pay from a time-consuming lawsuit over merchandising rights, and a couple of members had expensive divorces to settle up. On paper, this sounds like a craven and cynical cash grab, fatal to comedy. On film, as at the live show, it was anything but. The Pythons, now all in their 70s or nearly so, discovered to their delight that they still enjoyed playing together. You get the impression they’d have done it for free, reviving sketches like “Dead Parrot” and “Cheese Shop” that transcended all places and times because they sent up bureaucracy and idiocy that exists everywhere. You also get the feeling the documentary caught them a bit by surprise, even though they authorized it. At one point backstage, Eric Idle scolds the filmmakers for acting “like the bloody CIA” in following him around.